I’ve been doing a little experiment lately. You might have seen it. I work in an office where Sky News is playing all day and during the federal election campaign, more or less whenever a politician appeared on the TV to give a speech/press conference/debate, I announced on Twitter what colour tie they were wearing. 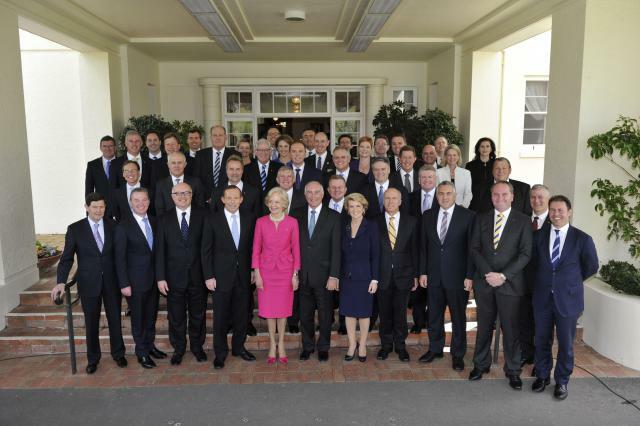 This was sparked by then Prime Minister Julia Gillard’s invitation, while launching a fundraising group called Women for Gillard two weeks before she was ousted, to see the looming election in terms of gender. “It’s a decision about whether once again we will banish women’s voices from the core of our nation’s political life,” she said. 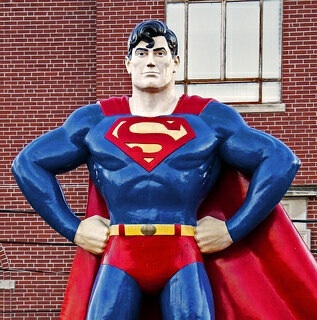 Superman statue via giladr on flickr. When I moved to Melbourne I took all the free brochures/guides about “best places to eat!” and “how to use public transport!” But the thing they don’t tell you is how to wear stockings in winter. There is an art to stocking-wearing in cold places that I learned through trial and error and amazing “didn’t you know that?” revelations from housemates. If you never got the memo, enjoy. 1. Buy wool. I didn’t know wool stockings existed until I moved here but they are SO much warmer than (even thick) regular ones. The first time I wore a pair outside I felt invincible. Sometimes it’s tricky to find wool stockings at Kmart/supermarkets but you can often get them at Myer/David Jones/boutiques. Yes, they are a bit more expensive. But you won’t be thinking about the price when you’re waiting for the tram late at night and it’s seven degrees with an icy wind. 2. Buy extra-tall. Do this even if you are not extra tall. Don’t look at the weight/height chart on the back and figure out which category you should be in. It’s more comfortable to put them on and have extra material at the top than to put them on and have to make a real effort to get them to reach all the way up. 3. Wear Superman undies. As in, not undies with a Superman pattern on them, but if you want to do that, go right ahead. As in, put a pair of undies on, and then put a pair of stockings on, and then put another pair of undies on over the top. Finding out about Superman undies changed my life. I always thought stockings fell down during the day and were really uncomfortable. But Superman undies keep them right in place. Tip: since the outside undies don’t touch skin, you might like to wear them for a few days to save on laundry. Tip: if your dress is slightly see-through, you might like to make sure your Superman undies are the same colour as your stockings. Or you could just wear pants, I guess. Up to you. 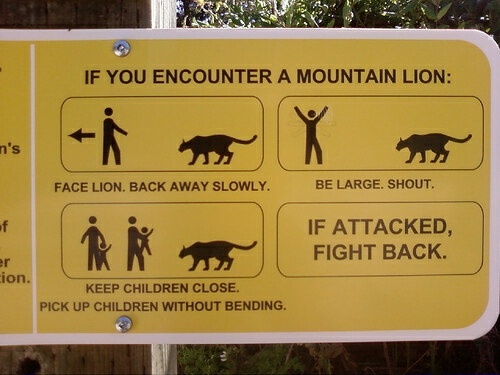 Advice on dealing with mountain lions. Image via ekai on flickr. I’ve written before about how much I enjoy advice blogs. Over time I’ve realised there are a few classic pieces of advice I remember and share more frequently than others. If you would ever like some free advice, here it is. If you’ve got your life all figured out, please continue. What is your favourite piece of advice? I’d love to hear it. A year ago, if I’d read that environmental activist Jonathan Moylan had issued a hoax press release saying ANZ Bank had withdrawn a $1.2 billion loan to Whitehaven Coal, because he wanted to protest the company’s plans to build a new coalmine in a state forest, and the announcement had temporarily wiped $314 million off Whitehaven’s market value, well, I would have thought, good on him. The forest is home to threatened species, we should be switching to renewable energy, mining companies have enough money, the share price recovered anyway, etc. And maybe I should have had the same reaction last week. It was so hot that the Bureau of Meteorology had to add new colours to its maps. Bushfires visible from space raged across three states. And I spent much of my time reading about the science of climate change for a feature story I’m working on. There is no debate in the scientific community: because humans burn fossil fuels for energy, which releases carbon dioxide into the atmosphere, the world is getting warmer. As a consequence extreme weather events will become more common. And yet, and yet. Now I have spent almost a year working as a business reporter, I couldn’t make up my mind what I think about the stunt. Yes, we should emit less carbon dioxide. But should activists spread false information? What about the investors who lost money by dumping shares in Whitehaven Coal when its share price dropped? Is it okay to undermine confidence in the market, possibly making overseas investors more nervous, or making it harder for “Mum and Dad” investors to participate? I don’t have opinions about that. It is always a pleasure and a privilege to attend the National Young Writers’ Festival, which is held in Newcastle on the last weekend of September every year. And this year I had the unique pleasure of speaking on a panel titled “How to Sell Out Without Losing Your Mind”, which also featured Rosie Stevens, Michaela McGuire and Lachlan Williams. The concept of the panel was that we had all taken unexpected writing jobs or unexpected “other” jobs to support our writing. We more or less agreed that being realistic is part of adulthood. And I don’t want to crush anyone’s dreams! But it’s okay if you don’t get your dream writing job, particularly not as a graduate or young writer. There will still be lots of other excellent writing opportunities, if you want to write and you’re prepared to put the effort in. Something I said on the panel is that if you only want to work for one publication, and nowhere else, maybe you need to consider the possibility that that might not happen, and whether you would still want to be a writer. And something I didn’t say is that if you only have one dream writing job, maybe you need to read more. We also agreed on the importance of discipline. Creativity doesn’t just happen, by magic, despite what it looks like in movies. If you are serious about any kind of creative practice, not only writing, you will have to set aside time in your week to work on it. And sometimes you might prefer to spend that time sleeping or watching television or at the pub. But if Ira Glass says everyone he knows who does interesting, creative work took years to get good at it, well, we’re all going to have to put in those years of effort. For example, Michaela McGuire told the audience that on weekdays she gets up at 3 or 4 am and writes, then goes to her 9-5 money job, then comes home and goes to sleep at 6pm. …I don’t get up at 4am and write. But then, neither have I been published in The Monthly. I go the library in the evening and on Saturday sometimes though? The other thing I wanted to be clear about is the distinction between being disciplined and putting too much pressure on yourself. Sometimes it’s hard for high achievers to see the difference. If you want to start getting up early and writing, that’s great! Good on you! But if you sleep in one day, that’s okay. It’s not the end of the world. Or if you can’t get up at 4am and write at the moment because you are working three jobs to pay your rent and trying to finish your masters degree, that’s not the end of the world either. Deep breaths everyone. But pretty much, if you want to sell out (i.e. get paid) without losing your mind: write a lot, make time to write a lot, make time to do other things, look for what you can get out of unexpected opportunities, network, apply for things on Seek, don’t stress too much about the future of the media, and be prepared for things to take time. Q: Hi Elizabeth, what are you doing with your Thursday nights this semester? 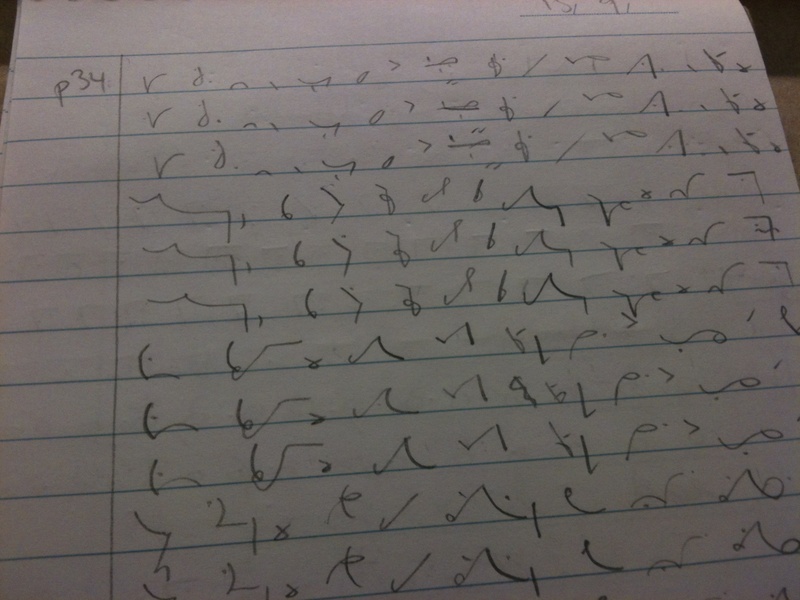 A: I’m doing a shorthand course at Swinburne in the city! A: It’s a script that allows me to write really fast. Right, so a couple of US-based consultancies surveyed 225 employers and found they wanted to hire Arts graduates with good communications skills. Sometimes in this kind of discussion, experienced writers assert that good writing can’t be taught. Thankfully, S.A. Jones avoids this, only saying that good writing skills aren’t easy to acquire. Of course learning to write well takes time and practice. But that doesn’t make it impossible. It drives me nuts when people suggest that if you’re a writer, it’s only because you have some kind of magical, natural talent. To develop this talent, the argument goes, you have to work on a whaling vessel or get a menial job or have some kind of life experience, not sit in a classroom and study creative writing or journalism. Again, of course rich life experiences benefit writers. But when we talk about “good writing”, I think we conflate two things: clear writing and outstanding writing. Perhaps you need to live on a whaling vessel or equivalent to become an outstanding writer, a prize-winning novelist, or a long-form feature writer who can move readers to tears. You probably need years of practice too. 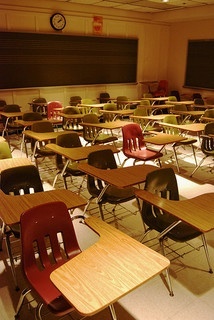 But clear writing – well-crafted prose that will help you in work and life – can be taught in a classroom. Don’t write sentences longer than 25 words. Write in the active voice, not the passive voice (e.g. “I ate the cake” not “The cake was eaten by me”). Re-read, edit and proofread everything. The squiggly underlines on your screen will help you with this. I learned many of these rules in classrooms at uni (and if you’re keen, some of my teachers have written books on the subject). Of course I’m still learning. Of course it takes time and practice. And of course some people are naturally more talented with numbers or visual images than with words. But these are skills we all can, and should, learn. They’re not magical talents to be acquired at birth or on a whaling vessel or never at all.